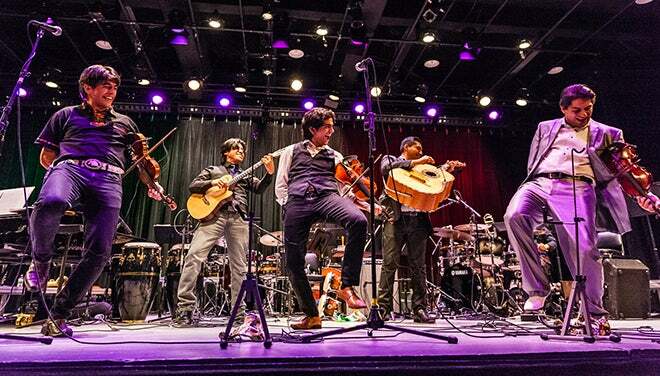 Born and raised in Veracruz, Mexico, the Villalobos Brothers use their violins and voices to blend Mexican folk music with elements of classical, jazz, and rock. 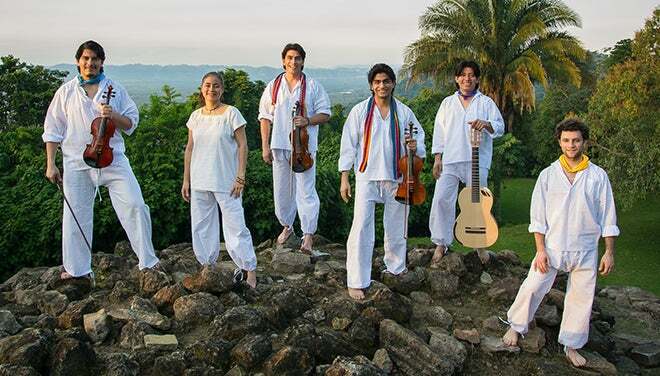 Their performances are notable for their own unique style of playing called “Fast-Chatting Violin,” as well as their powerful message of love, brotherhood, and social justice. 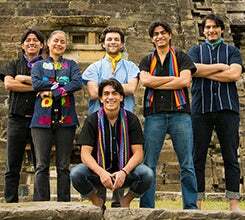 In addition to their virtuosic playing, the brothers — Ernest , Alberto, and Luis – also compose their own original music featuring closely mingled harmonies and intricate patterns. Through multidisciplinary acts that include masks, poems, and theatrical sketches interwoven with powerful lyrics and high-energy compositions, the Villalobos Brothers use their unique style to redefine contemporary Mexican music.